The number of financial fraud cases continues to grow, as well as the number of regulations financial institutions and payments providers must abide by. Fraud prevention and data protection might therefore seem a great challenge. Now, Number Verifier based on HLR is here to make the fight against card cloning fraud and data theft easy as can be. Number Verifier is an HLR based solution which lets financial institutions reduce the risk of card cloning fraud and skimming. Besides database cleaning and message delivery optimisation, our number verification solution uses the telecom infrastructure to enrich fraud prevention systems and strengthen any existing mobile authentication process. For this purpose, Number Verifier uses HLR (Home Location Register), an MNO database containing all information related to a mobile subscriber's device. How does number verification prevent card cloning fraud? With Number Verifier, the likelihood of a valid transaction or withdrawal can be checked automatically. For this, the location of the user's mobile phone and the used ATM are compared. Once a transaction is initiated at a location that is unusual for the customer, for example another country, location verification is activated. This means a back-end check is ran using HLR. 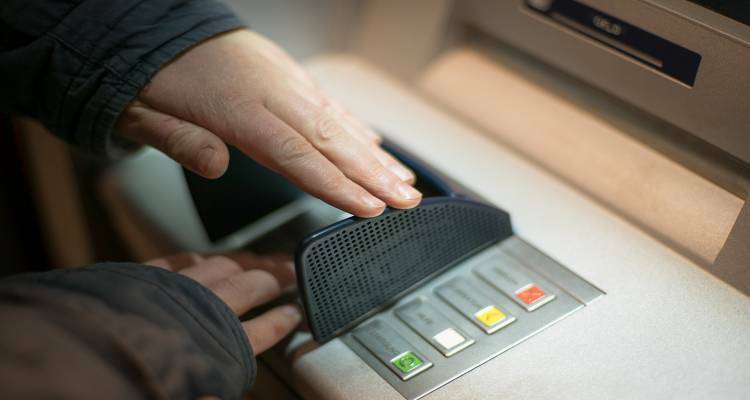 If the system detects a mismatch in location between the user's mobile phone and the ATM or device that's used for online banking, it is likely that the transaction isn't initiated by the account holder. Moreover, four more layers like roaming and IP address, are added in the comparison for the indication of fraud. In case of a mismatch, you will receive a notification immediately. It is up to you to determine how to handle such irregularities. You can choose to automatically block transactions when Number Verifier suggests the ATM-card might not be on its user. Or you can choose to send a message to the user, asking him to verify whether he is the transaction's initiator, using authentication products like OTP or Authenticator. Also, you can choose to let the transaction proceed, informing the customer afterwards. The choice is yours, but you can always contact us for advice based on your clients and service. As we are the trusted Two-factor Authentication partner for many banks and financial institutions, one of our customers reached out to us with a new security challenge. This big Dutch bank was faced with fraud in online payments. Therefore, they've reached out to CM to co-create this new security solution, with which the risk of card cloning fraud is limited, offering a new level of security to its clients. Together with this specific client, we've created intelligent filtering of when to apply HLR. If you want to explore the possibilities of Number Verifier with HLR or if you're facing another security challenge, please contact our product specialist Kristina Vidakovic. You can easily implement the HLR based number verification solution in existing processes. Because transaction processes will remain the same, this anti-fraud solution does not intervene in the customer journey of your clients. Instead, it will help you regain your customers' trust, since they can rest assure that you are keeping an eye on the protection of their money. Also, it will help you meet the requirements of current and future regulations, including the General Data Protection Regulation (GDPR). So, with Number Verifier, you'll regain control in preventing data ending up in the wrong hands and increase your customer's trust in your service. Besides Number Verifier, CM has long offered many other solutions to minimize the risk of fraud, including OTP and Authenticator. If you want to implement Number Verifier using HLR, or want to know more about CM's other Access and Payment solutions, please contact our sector specialist finance Richard van Anholt. Identity innovation for the future: will privacy beat service in 2018? Online identification technology has drastically improved this year and will become even more important in the future. The main reason for online identification’s importance is not (only) reducing the growing threat of cybercrime. Identification also plays a key role in the customer experience. But, how do you collect the information you need whilst providing them with both the service and privacy they expect in 2018? Do you Google yourself often? It might be surprising how much information you find about yourself. There’s however probably more personal information available without you knowing it. And even worse: it’s being sold to third-parties. Kimo Quaintance is ‘trying to get his head around of what’s happening in the social world and the political world because of the changes in the digital age’. He spoke at Mobile Convention Brussels on security in a digitizing society.